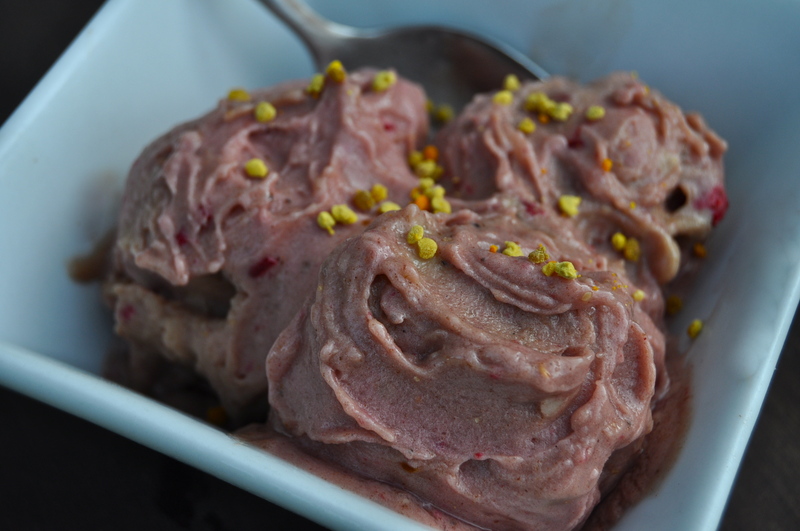 Another banana ice-cream recipe! I have been eating variations on this all summer long for my weekend breakfasts (for my favourite weekday smoothie click here). Eating fruit (especially bananas) for breakfast has been leaving me clear-headed and full of energy to face the day. This recipe makes me feel amazing, strong, and powerful. Try it and feel the banana power! While traditional nutritional advice is to make breakfast your biggest meal of the day, I have noticed huge differences in my mood and energy levels by having a lighter, easier to digest breakfast (like fruit or smoothies). Rather than my body immediately focusing a great deal of energy into digesting a heavy meal, I am able to use that extra energy in my mental and physical activities throughout the day. Try lightening your breakfasts and see how you feel. Bananas are great for keeping you full as they are quite a dense, low water fruit. If you are worried about staying full with a smoothie add some hemp or chia seeds. 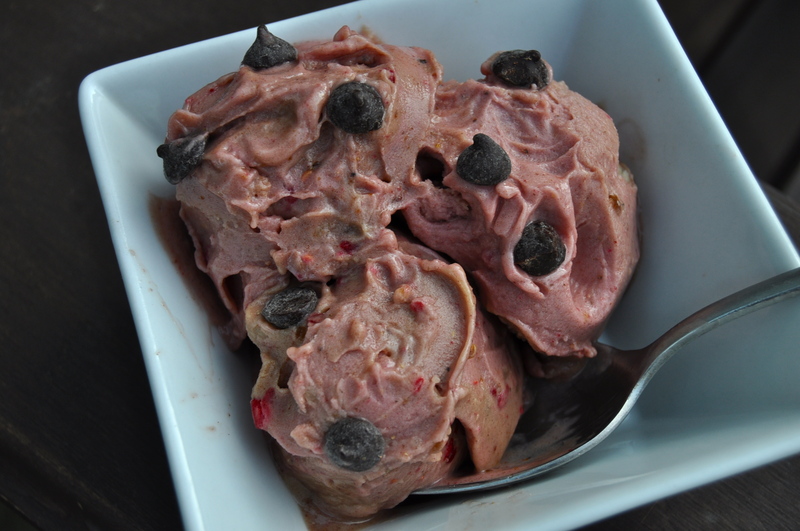 This entry was posted in raw, snack, Uncategorized, vegan, vegetarian and tagged banana ice-cream, dairy free, fruit, gluten free, nut free, raw, recipe, vegan. Bookmark the permalink.